i’m looking to rent a cotton candy machine for August 2013, what are your prices and how early can I reserve it? What are the prices for a cotton candy rental? Is it cotton candy you want for annual block party? If so, then come to Operation Fun for your party rental this year. Enjoy making your own delicious cotton candy direct from this premiere cotton candy machine rental. All the essentials needed for your cotton candy making experience will be provided. Including Floss Sugar mixes, Cones and the of cotton candy machine. We make sure we always have the most popular flavors as well Long Island’s best party rental company. 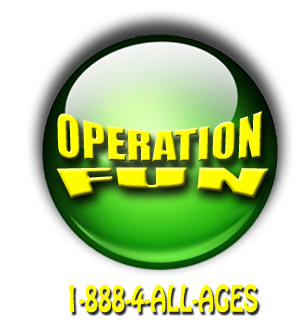 Copyright © 2010 Operation Fun Inc. All rights reserved.